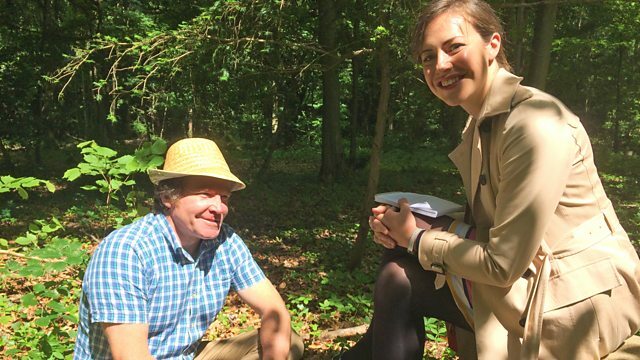 Isabel Hardman of The Spectator, who has been struggling with depression, talks to psychiatrist Dr Alan Kellas about how being outside in nature could help. Does being in nature aid our mental health? Isabel Hardman, Assistant Editor of The Spectator, discusses with Dr Alan Kellas, a psychiatrist who advises the Royal College of Psychiatry on the subject. Isabel struggled with depression, and found that developing an interest in plants and working outside has helped her to recover. Meeting Alan in the woods, they talk of exercising outdoors, of watching the seasons turn, and of having regular places to visit that take us outside ourselves, allowing us to move beyond our own preoccupations. Alan reveals the ways in which he himself learned to resolve difficult things in a particular woodland setting.